A 1 mile boat race and 5k foot race fundraiser to celebrate the life of Leif Eriksson and the Viking way. 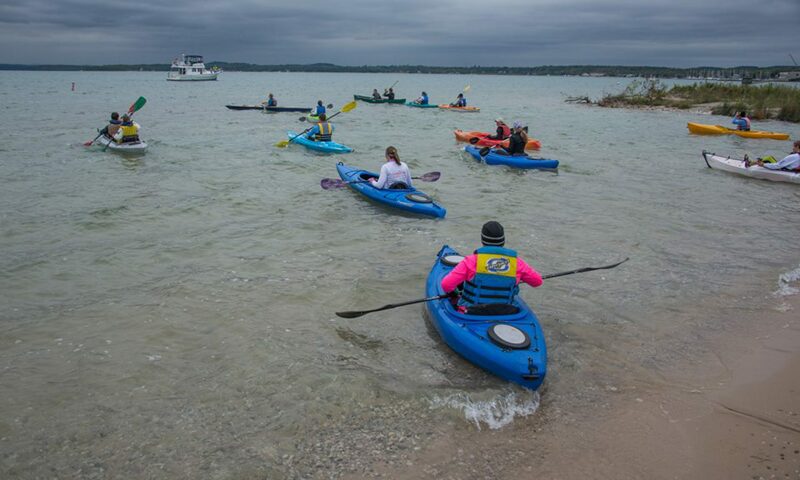 The race takes place on October 6th, 2018 at 9am in Charlevoix, Michigan. This event is a fundraiser for Charlevoix Schools Rayder Den. The Rayder Den services Middle and High School students who are experiencing food insecurity. The Rayder Den is staffed by members of the Christ Episcopal Church, First Congregational Church, and St Mary’s Catholic Church. Participants can compete in both the row and run or just one of the events. One mile boat race goes from Depot Beach to Ferry Beach in Charlevoix. Participants will have to bring their own kayak/canoe and wear a USCG approved life jacket. The 5k will traverse along a road course in the city of Charlevoix. Registration is $25 and includes collectible t-shirt and swag from various sponsors. Day of event registration is $30. We have some exciting news! Lake Charlevoix Brewing Company has invited all Row and Run participants to an after run party/feast! More details to follow as we get closer to race day. Be at FERRY BEACH between 7AM-8:15AM if you are RUNNING ONLY to receive your race packet. Be at DEPOT BEACH between 7AM-8:15AM if you are doing the ROW portion to receive your race packet. Row event launches at Depot Beach. Rowers, please have someone pick you up at Ferry Beach so as to not leave boats at Ferry Beach Park for too long. Park at Ferry Beach for running event. No shuttle will be available to transport rowers back from Ferry Beach to Depot Beach so please do make arrangements.